This property has had 7 views in the last 3 days! 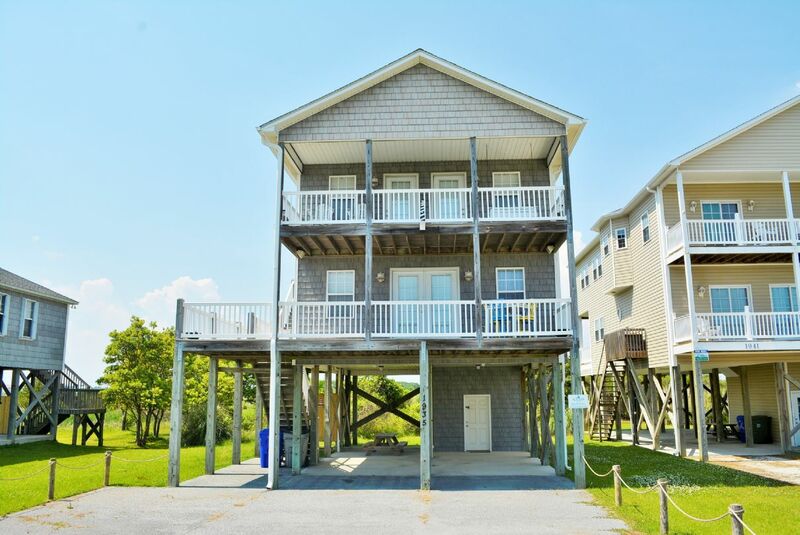 Sitting directly across from the beach, Serenity Sands has 3 bedrooms, 3.5 bathrooms and both ocean and sound views from four separate decks. The stairs, located on the left side of the covered parking area, ascend to the lower front deck, allowing entrance to the house into the open updated floor plan. You enter into the large spacious kitchen and dining area. Proceeding down the hallway lies the first floor half bath with the washing machine and dryer hidden away in the bathroom closet. Further down the hallway is the master suite with a private full bath. The master bedroom has a king bed and double doors that open to the lower back deck and sweeping sound views. From the dining room, take the stairs up to the top floor where you will find the newly added living room and two additional bedrooms. Two bedrooms, both with queen beds. One bedroom has a private en-suite bathroom with the other bedroom sharing a full bathroom in the hallway. Both bedrooms have doors to the private shared upper deck. Cuddle up on the deck swing with a good book or relax in one of the other chairs placed for perfect ocean viewing. 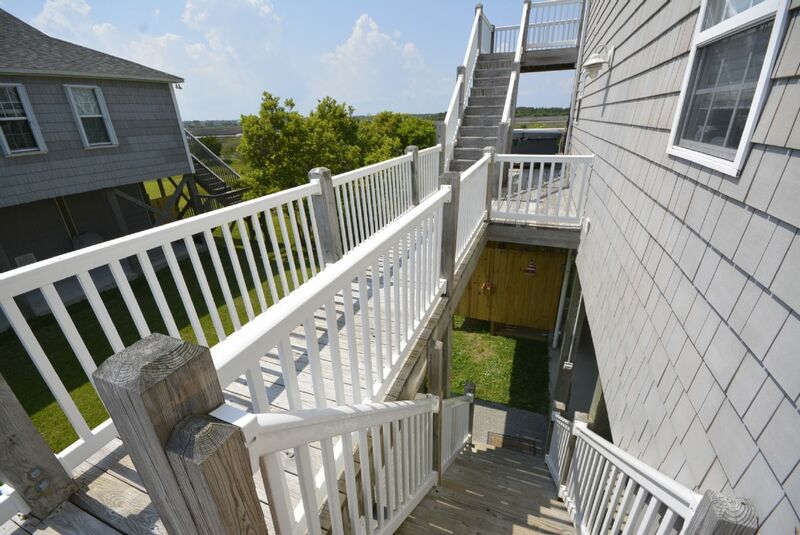 Outside the house, from the lower front deck, you can walk 180 degrees of the perimeter to follow a walkway ushering you to the back lower deck or stairs to the upper sundeck. 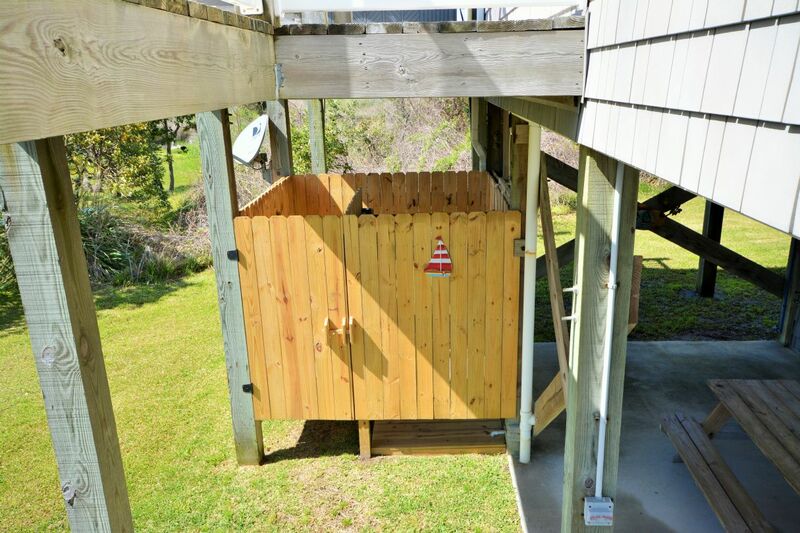 The back lower deck has a swing, rocking chairs and a private four person hot tub with fabulous sound views. The upper sundeck not only has breathtaking views of the sound and wildlife, but also chaise sunning chairs; making it the perfect spot to watch the morning sunrise. 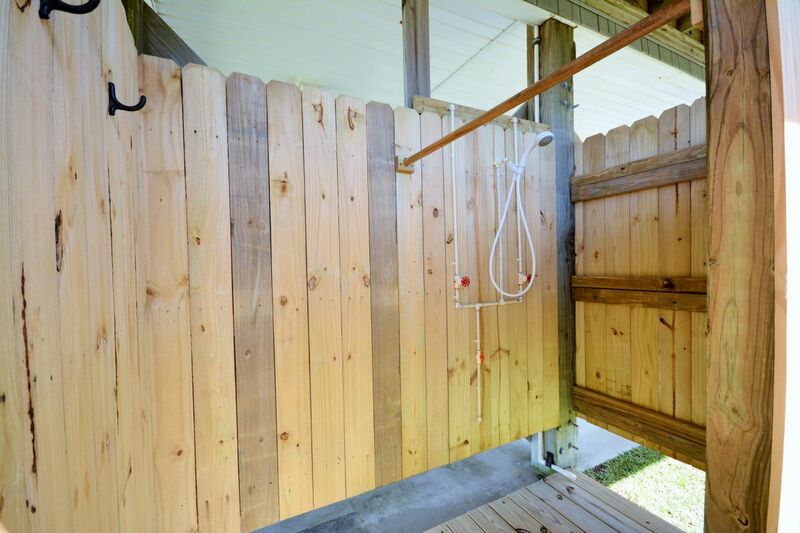 Ample parking can be found underneath plus a picnic table and enclosed private outdoor shower. 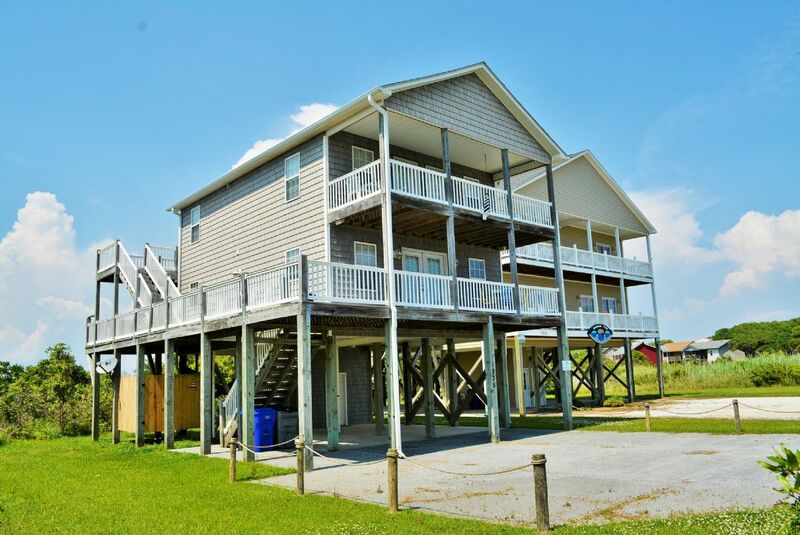 The public beach access is conveniently located just a stone throw from the driveway. "Beautiful, welcoming place. With wonderful views from both the front and the back of the house. "